Are you looking for holiday ideas in Italy? 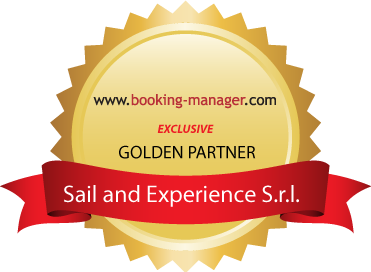 We explain how our idea of sailing tour works! Looking for a fantastic holiday in the blue waters of the Mediterranean Sea, kissed by the sun and caressed by the wind? Be our captain and choose a sailing holiday! Make it even better enjoying the many cultural, tasting and adventurous experiences visiting the stunning South of Italy wonders. Now it is possible to combine one or more experiences to your sailing tour and discover not only the Sea but live the Land fully. A perfect fusion of blue bays, sea villages, breath-taking panoramas, ancient wonders, culinary heavens, thermal cuddles and much more. Choose Naples for your 2019 holidays in Italy! Naples is the largest city in southern Italy and is located on the coast. Naples is the home of pizza and many Italian enogastronomic specialties. From Naples you can visit the beautiful and evocative coast of Amalfi, Capri and Sorrento. To fully enjoy your holiday in Italy in Naples, choose the sailboat! Our proposals combine sailing with many customizable experiences: wellness, trekking, archaeological visits, food and wine stops. Let your dream set sail. Live a unique experience choosing a sailing holiday in Italy on a luxury boat. Make your sailing adventure special: pick your favorite experience and enjoy a unique holiday tailored on your desires. Find the chosen experience among the several holidays packages, selecting places, dates and customized tours. Discover the boat and get ready to live an unforgettable experience.